The Nghi Son petrochemical refinery company on August 22 received the first batch of 270,000 tonnes crude oil from Kuwait via Millennium cargo ship for its operation. 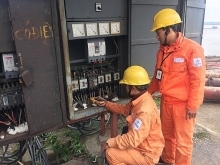 According to Nguyen Van Thi, head of the management board of Nghi Son Economic Zone and Thanh Hoa industrial parks, this is a progress in the factory’s trial operation, making it ready to provide petrochemical and refined products for domestic and foreign markets. Alongside, ship Millennium with a maximum capacity of carrying up to 300,000 tonnes of crude oil marked a milestone of the Nghi Son seaport as the first large-ever crude oil vessel docked in Vietnam. The Nghi Son petrochemical refinery is built in Nghi Son economic zone in TinhGia district of the central province of ThanhHoa. This is the largest national oil and gas project of the country with total investment of 9.2 billion USD. After 44 months of installation, the project was completed on April 30, 2017. 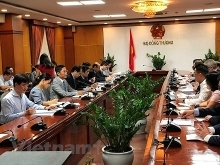 The Nghi Son Refinery and Petrochemical Company is preparing to test the factory. As schedule, the factory will receive three vessels of crude oil from Kuwait. 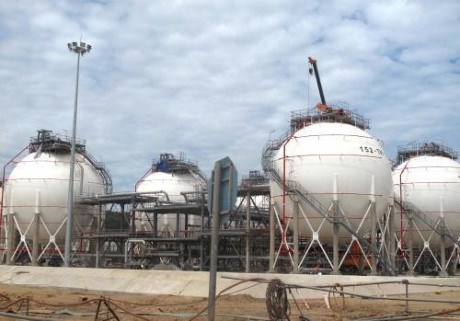 With its capacity of processing 10 million tonnes of crude oil per year, the Nghi Son petrochemical refinery complex is expected to help improve the self-reliance of Vietnam in producing refinery and petrochemical products, while strengthening the national energy security.